Reject the endorsement from anti-immigrant, pro-Trump Aldermen Anthony Napolitano and Nick Sposato. Latinx Representatives - Stand Strong Against ICE and Trump’s Wall! Amazon: Drop your contracts with the Department of Homeland Security, and stop enabling ICE's detention and deportation machine! 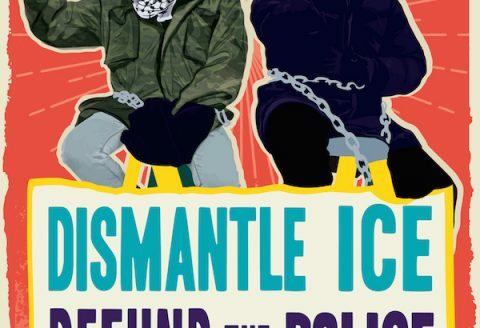 Tell Microsoft: Stop Supporting ICE! Tell Microsoft: End your support for state-sanctioned violence and terror. Drop the contract with ICE! No Fences, No Cages -- Revoke GEO's business license to operate the NWDC! “The time is now for all of us. All of us writing you this letter are in deportation proceedings. We have faced our worst fears and refused to let them conquer us. We are still here, still fighting, and still determined to win, not just for ourselves, but for all of us. We say “Ni Uno Más / Not One More.” As we fight our own deportation cases and build for a stop to deportations as the first step on the path to our political equality, we are asking you to accompany us. We ask that you produce art that illustrates both the hidden horrors of deportation and the untapped force of our community.